The eye liner comes in a sleek black pen like packaging with tight pressed cap. The cap sits properly and tightly when you close it. So it is pretty easy to carry with you. 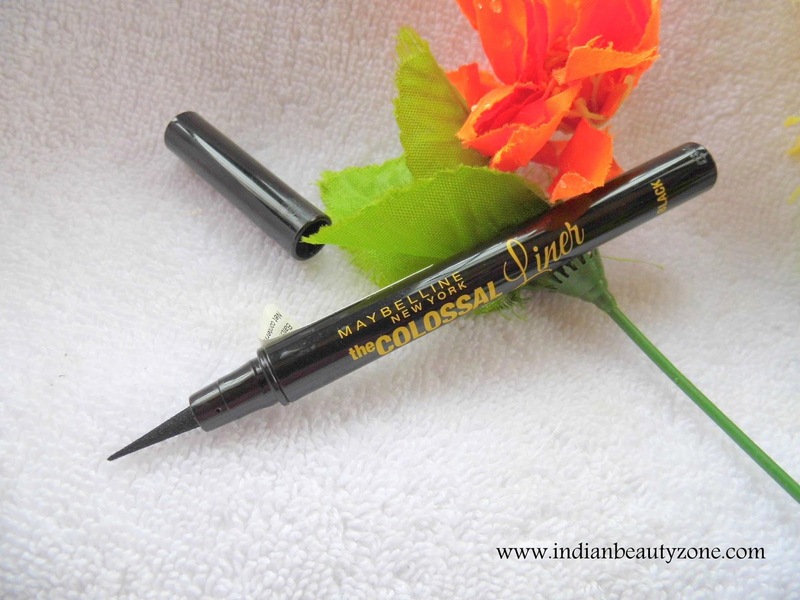 The yellow wordings of Maybelline The Colossal Liner Black is really opt for relating it to the colossal family. The texture of the eye liner is really thick and even. The pigmentation is amazingly black and bold. It has really dark black pigmentation and shows well on the eyes. The wonderful thing in this colossal liner is the liner tip. The applicator tip is sharp and soft at the same time. It doesn't hurt the eye's skin. It makes the applying of eye line very easy and neat, you can have full control over the applicator because it is like a pen's tip and of course we are expert in drawing (writing). Actually I am more comfortable with liquid eye liners, because I have started my makeup journey with that liner only. The happy news is there will not be any dropping eye liner after you applied it on your eyes. Also drawing a winged eye line is more easy with this Maybelline The Colossal Liner. You can draw winged eye line even though if you are not expert in it. The tip makes thick to thin eye lines easily just like that. The eye line looks so glossy and even. It stays forever until you wipe it off while removing all your makeup. It doesn't smudges and bleeds while you apply it. 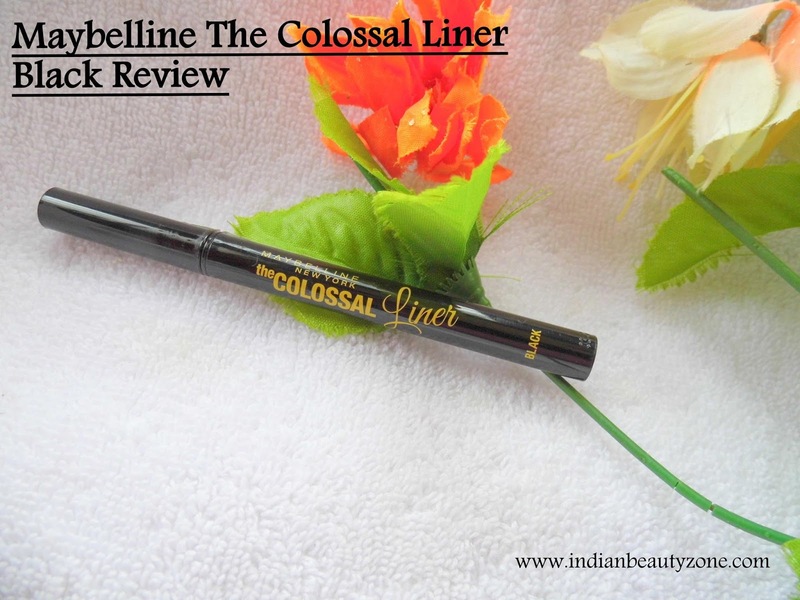 I believe even makeup beginners can also use this Maybelline The Colossal Liner easily. It is an wonderful gift for makeup lovers from Maybelline. I love this eye liner a lot and I am sure every girl will also love it to the core. Maybelline The Colossal Liner Black is an wonderful eye liner and no doubt every girl will love it for its intense black and long staying power. It is a must have eye liner for every makeup lovers.